This gorgeous white marble statue captures the youth and beauty of this princess whopauses on a stairway in peaceful contemplation. Her longsleeves andskirtscascade down to her feet in afascinating display ofartistry.Contact us today. 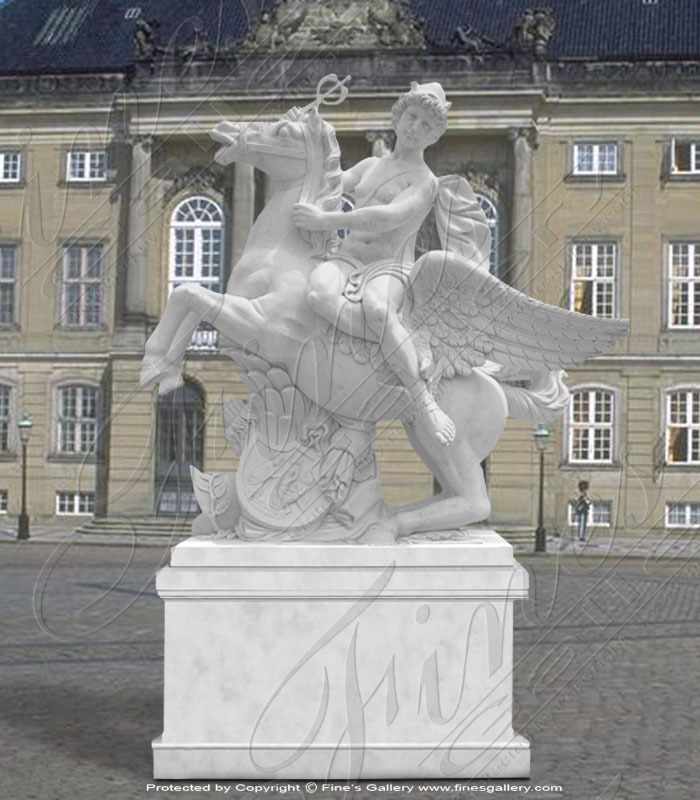 A fascinating representation of the Greek mythological flying horse, Pegasus, with a beautiful Greek god upon his back. All hand carved from solid white marble, this artwork will be enjoyed for years to come. Contact us today for a complete quote. 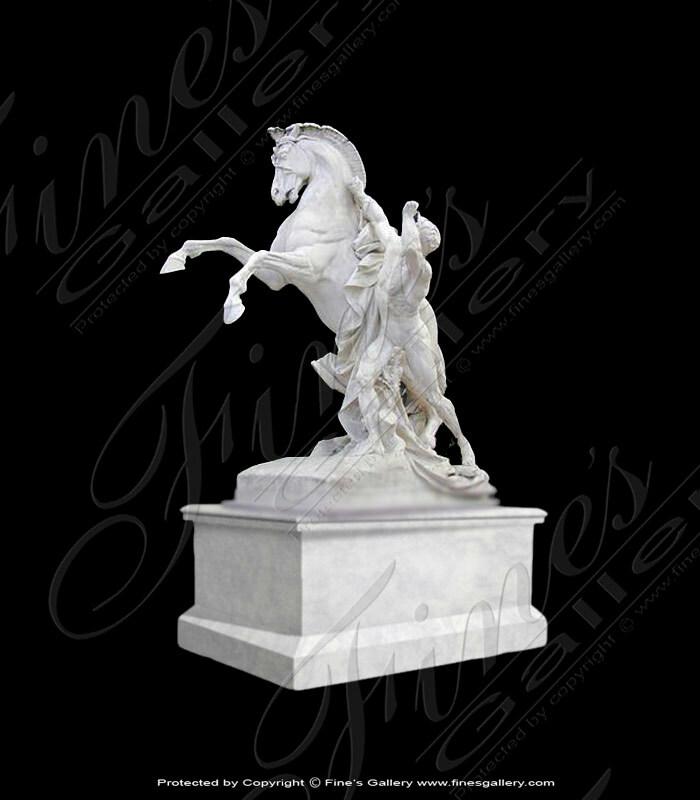 This is a truly majestic sculpture for fine home decorating, setupon a large rectangular base and all hand carved in dazzling white marble. Fine craftsmanship reveals a man's head, angel wings, and serpent legs. Customizable. The sphinx is one of the most fascinating mythical creatures. This incredible marble statue is a superb depiction of this creature, recognized as half woman and half lion. Sold as a pair. In this statue of Man and Horse, a powerful male figure attempts to catch a magnificent, rearing stallion. 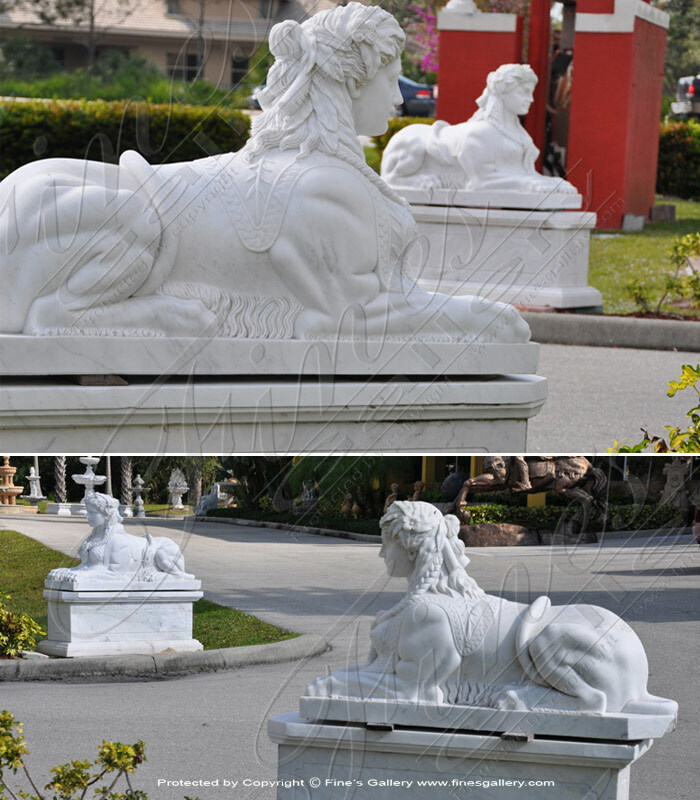 All hand carved by our team of professionals in this radiant white marble, or any color you prefer. As always, we offer complete customization. 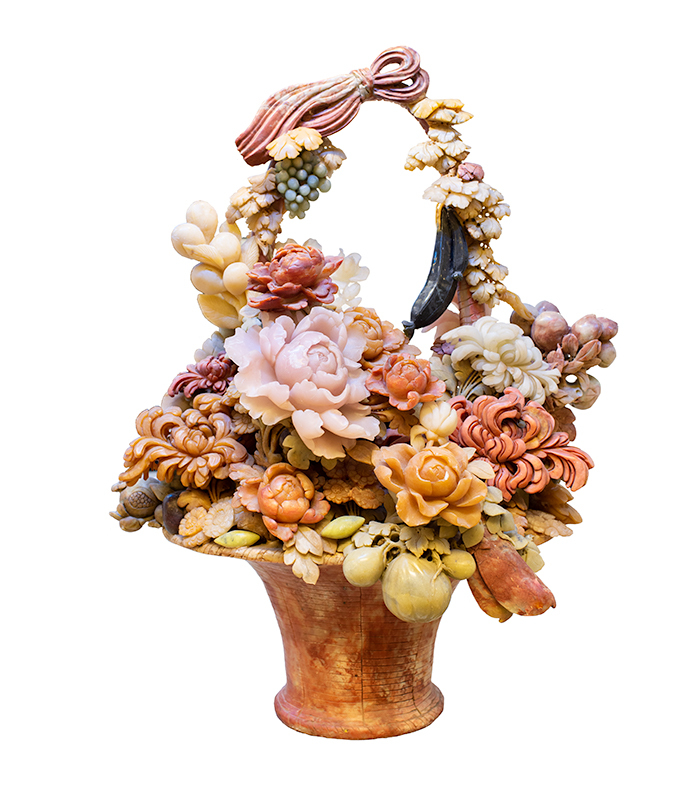 A one of kind floral arrangement encapsulated forever in purestone in a melange of various colors. 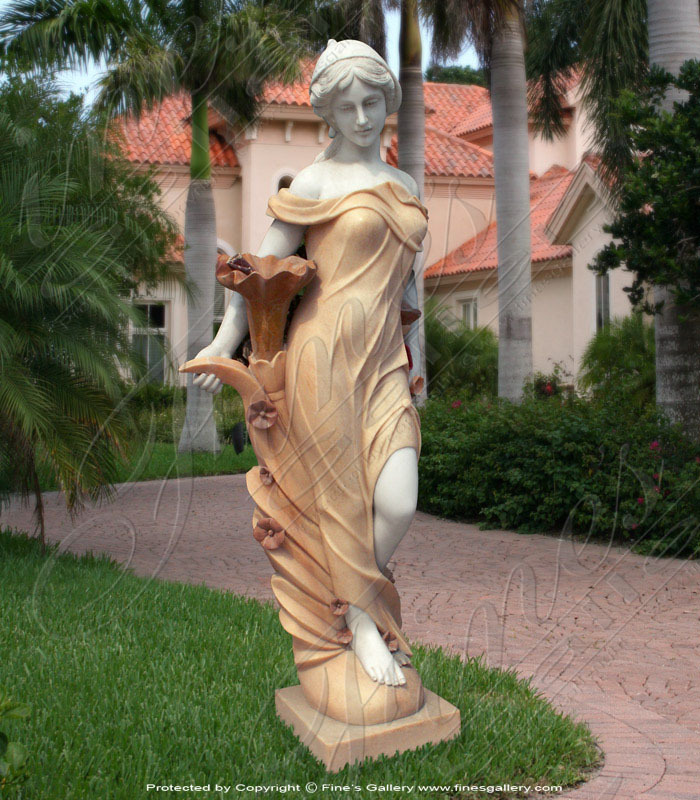 Hand carved by master craftsman, this truly delightful piece will add to the beauty and decor of any home or garden. Call us today. Natural beauty is captured forever in this fantastic work of art. 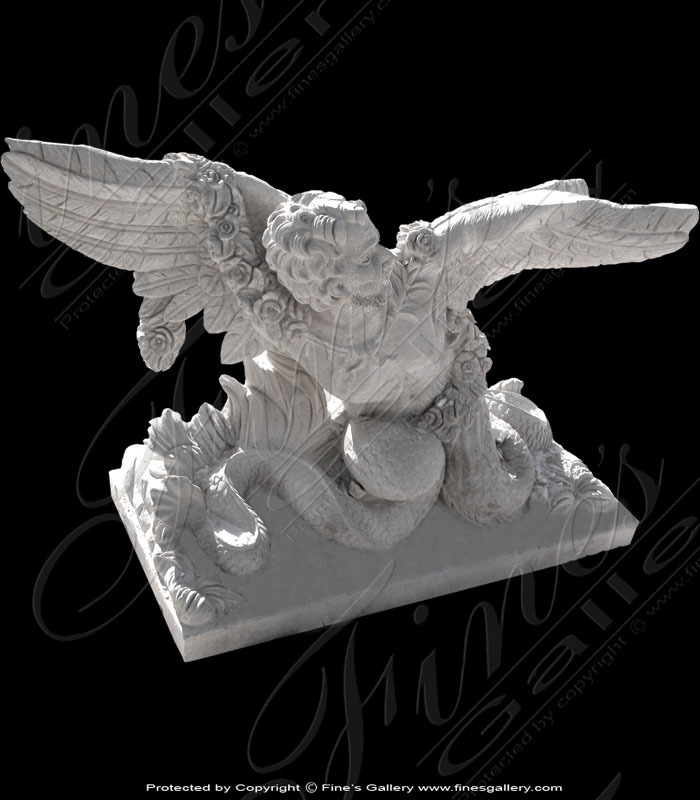 Hand carved in natural stone, white Carrara marble with a mixture of other marble colors. This Greek maiden is posed with a watering urn. Perfect for the home, garden, or pool. 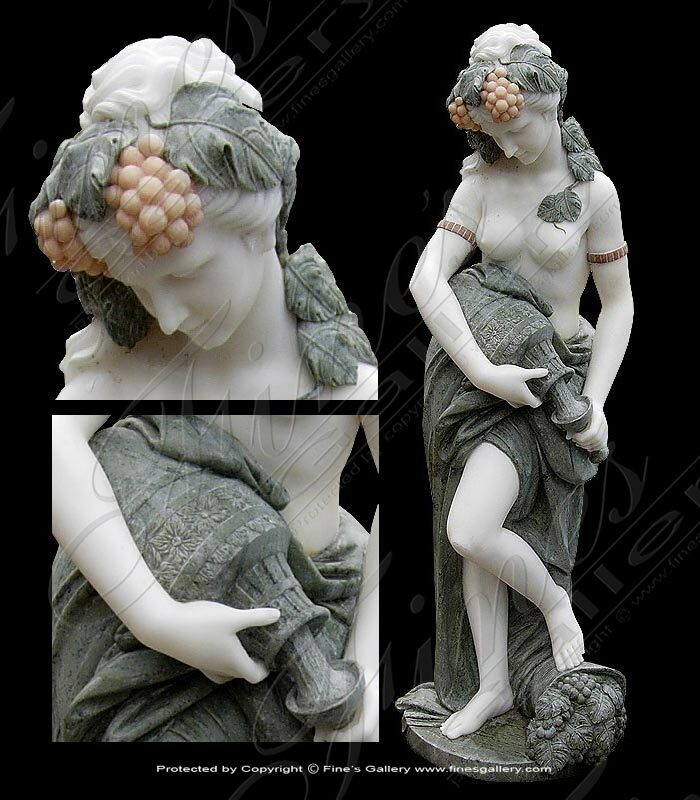 Holding a giant bunch of grapes, imagine this Roman girl stepping out of her ancient world and onto your cherished estate. 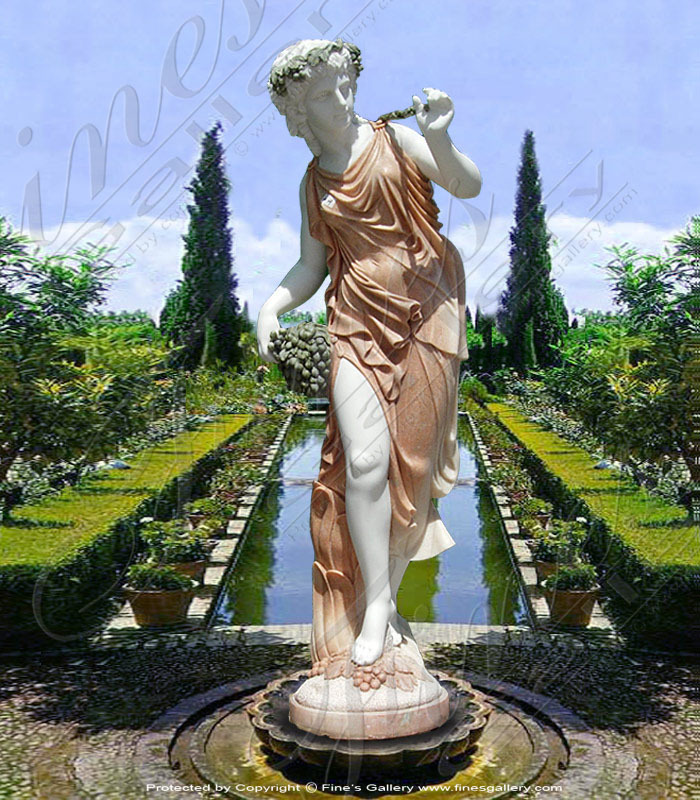 Delicately carved from white, peach, and dark green marble she is a vision of pure romantic bliss. Contact us today for options. 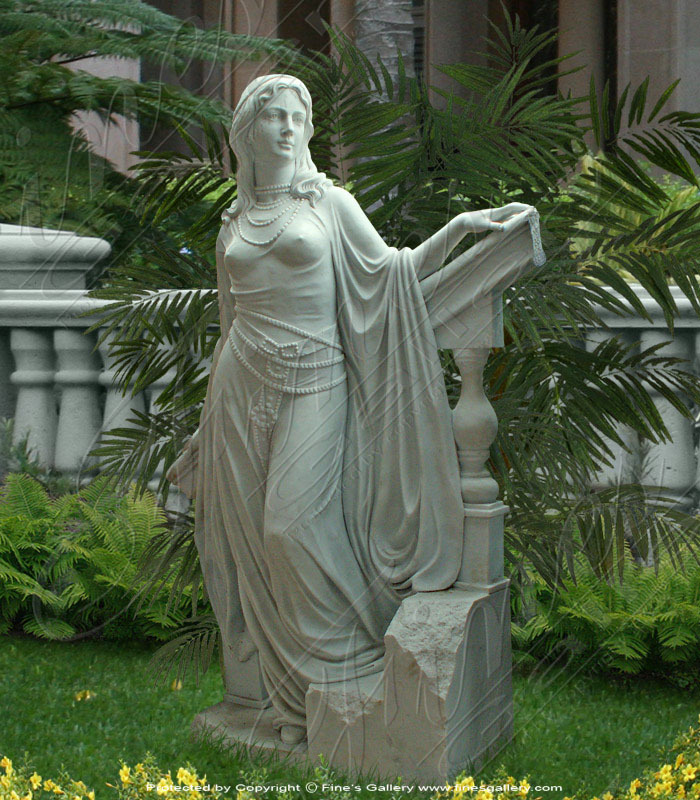 A Greek Marble Female Statue in multicolor marble. 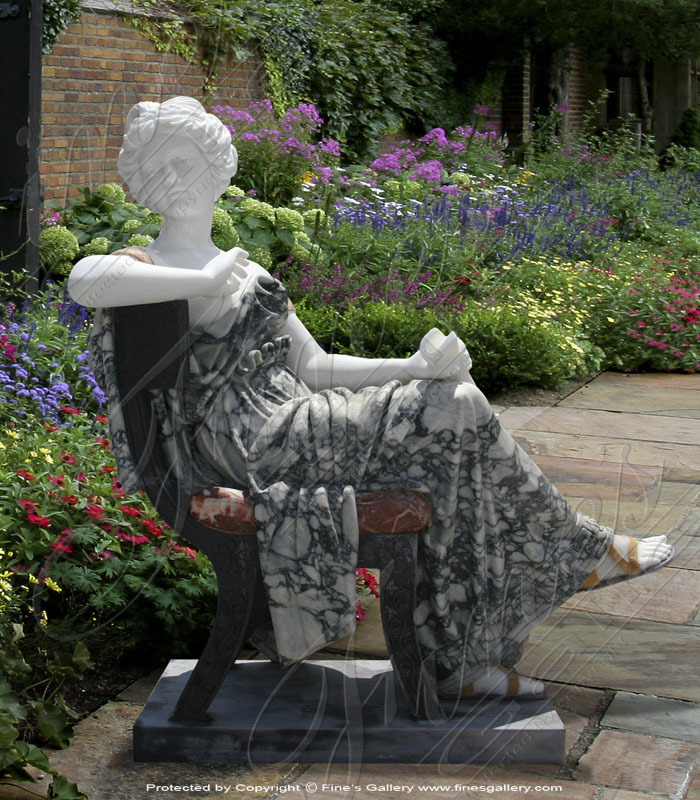 This incredible marble statue portrays a beautiful young woman seatedin an elegant chair and draped in a striking two toned marble gown.Contrasting tones of marbleareused throughout. 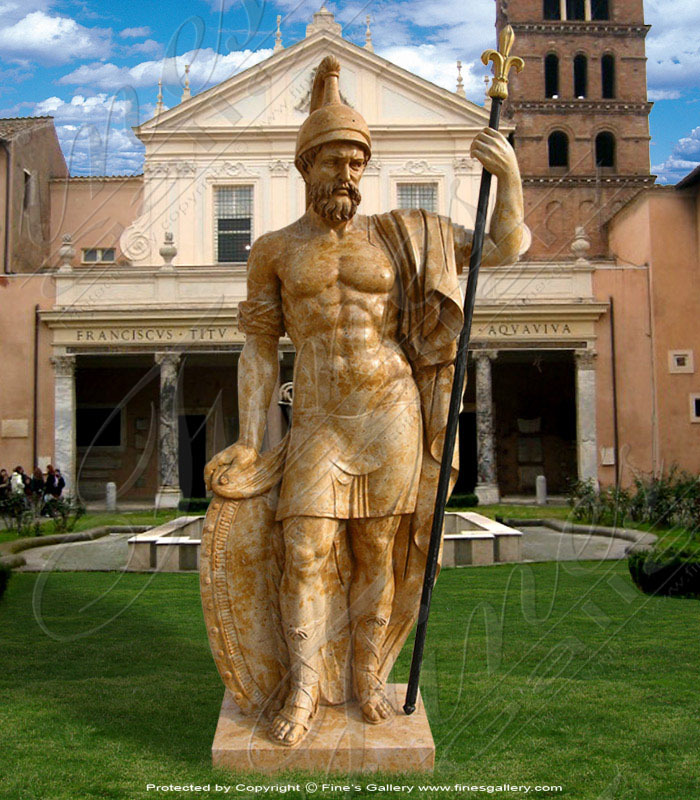 This handsome Greek male stands brave and proud and makes a fine courtyard accent. Carved fromabrilliantmarblewith a stunning display of gold and brown tones that will enhance the surroundings. Contact us today for personal sales assistance. 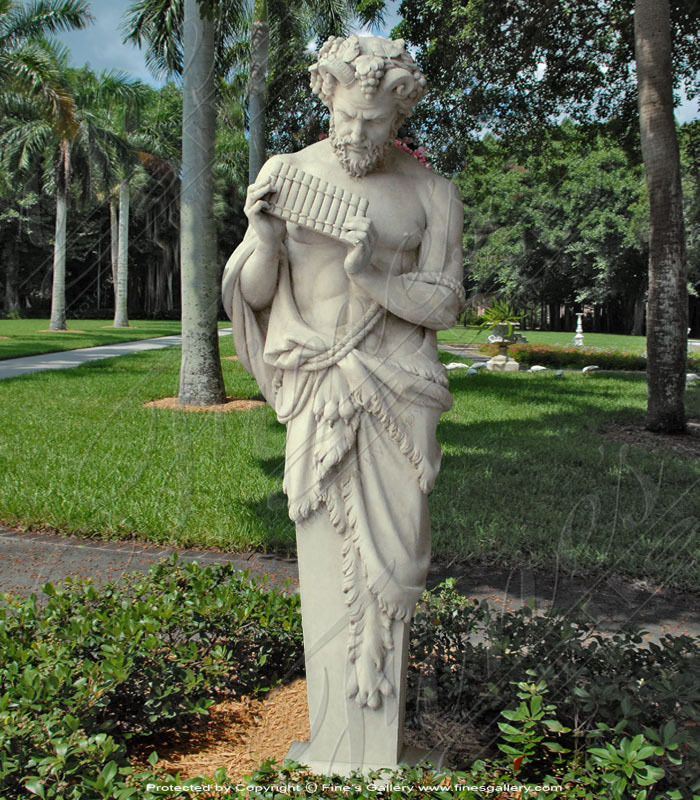 This incredible work of artwill createa magical and mysterious ambiance in your home or garden oasis.Thislovely columnfeaturesastunninglydetailedbust of a centaur. Playing music andclothed in bear skins,he is trulyauthenticofmythical life! A masterpiece! This Roman Warrior in his full wartime attire with feathered helmet is a finely detailed and stunning piece of marble art. 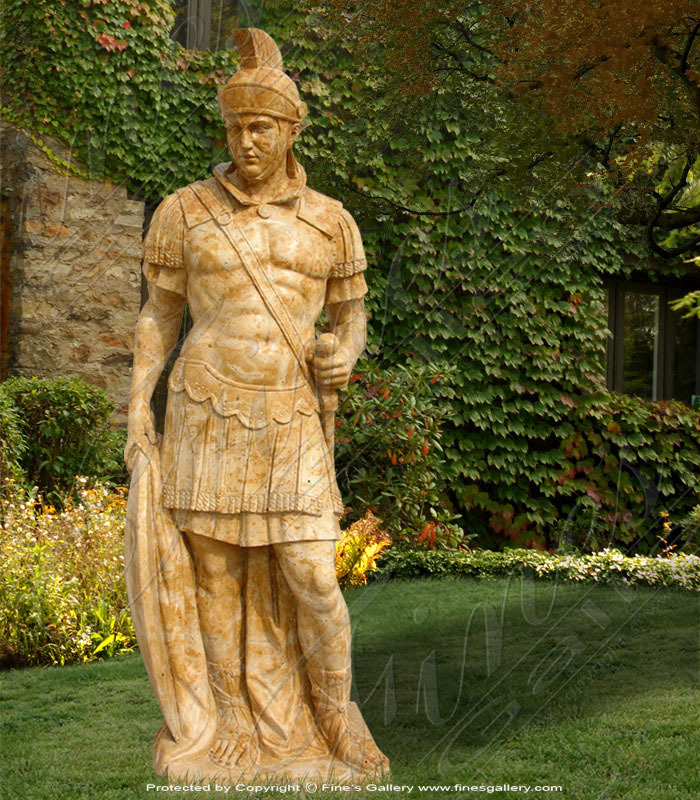 Let him stand guard over your most cherished surroundings and decorate the scenery with his solid marble beauty. This incredible statue displays agorgeouswoman in a graceful pose, large flower decor, and a beautiful gold gown cascading with amazing realism to her feet. Contact us for a customized quote. 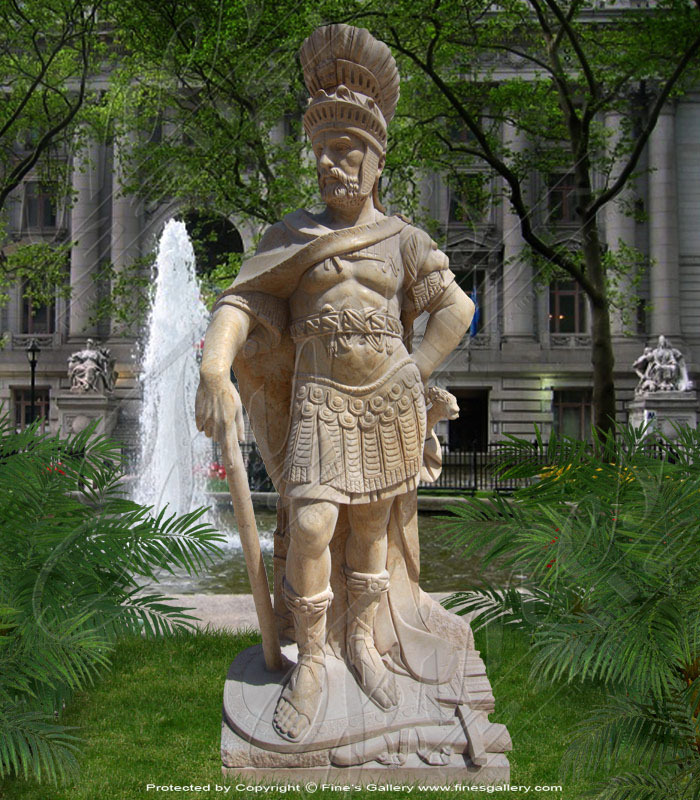 This is an incredible statue of a Roman warrior shown in a luxurious golden colored marble. Fine detail and expert artistry display this handsome young man dressed inhis magnificent costume.Awonderfulpiece to add to the beautyof your home. 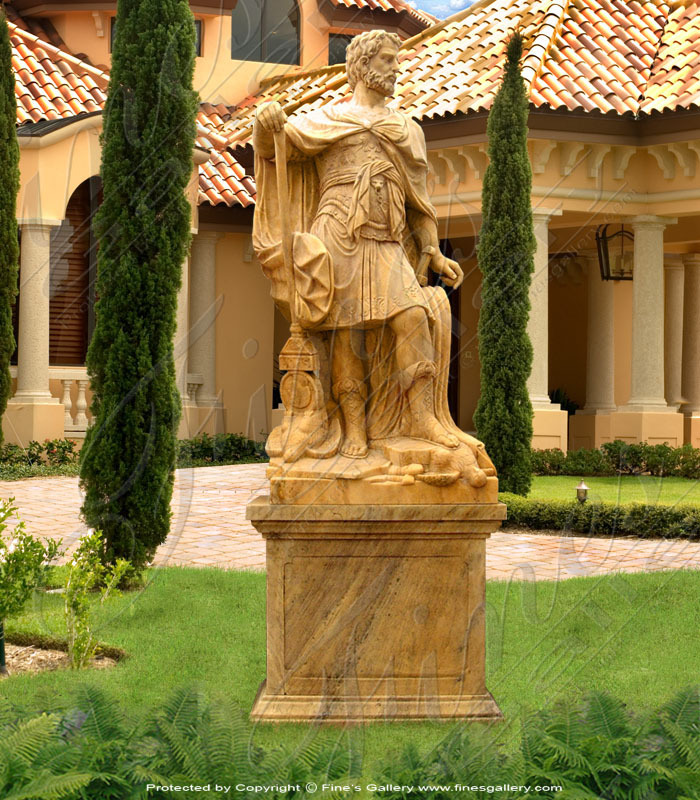 Another excellent sculpture in our lavish gold marble! This awesome piece of art will make a fine accent for your home and leave a lasting impression of majestic beauty. A perfectly crafted Roman guard leaning against a shield. 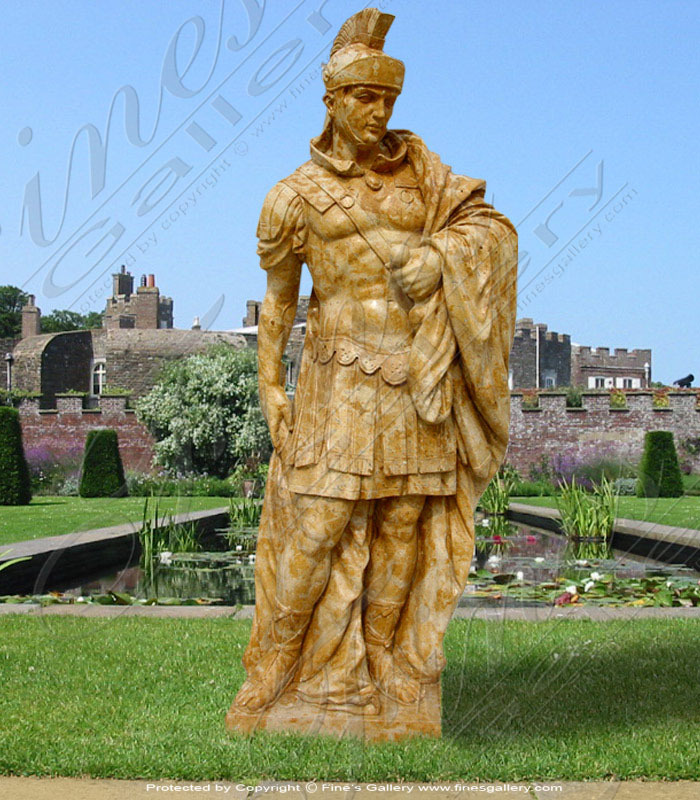 Carved from lavish golden marble, this incredible sculpture of a Roman guard is a magnificent piece of artwork. Every detail of his costume, helmet, and face are rendered perfect by our team of experts. Contact us today for sales assistance.